This past weekend was my mom’s birthday weekend! It’s a tradition in our family that we do a summer gathering for her birthday. This year we had a food festival (when does my family not lol). Ampy came over on Friday to stay over night. I was so happy! While she was doing her routine workout, I was playing Osu to provide ‘workout’ music for her. Then after she was done I had her try osu for the first time. My sister has pretty good sense of Rhythm so I thought she could handle 2 star songs right off the bat. But she was failing miserably .. LOL. So we went all the way down to less than 1 star song.. After 1 playthrough of that song, she finally understood how the game work. NOW she’s able to pass a 2 star song with no issues. I knew Ampy would be good at it! If only she would play with me more… I’ve still been trying to get her to play Animal Crossing with me ;- ; she said, “maybe when I get to Japan”. Wah, why wait. Why not now!! Whoops, I kinda got off topic there. Let’s go back to the topic: summer gathering. We went to a Thai temple the next morning to ทำบุญ. It’s been awhile since I’ve been a temple. The last time I went is when my grandma on my dad’s side passed. I’m still sad about that… I don’t remember that last time I met her. If only I can meet her one more time, I’d thank her for being extremely welcoming and kind whenever we visit. For hand making these adorable stuffed animals that my sister and I loved dearly. I’m getting teary again ;- ;. Anyways, (almost got off topic again lol) the head monk there was making some interesting points. It’s hard for me to say this in English, but he’s pretty much talking to us about how to be an attractive(good?) adult. Such a simple concept my parents raised me to with. I remember so clearly last year, there was a time I almost gave up on being an honest person. I didn’t see the point of being nice and honest anymore since it felt like I was always losing to the cheaters & the liars. But now I’m so glad I didn’t spiral down that path. I’m very lucky to have parents who only wish the best of me. Who had dedicated their life in raising me and my siblings to be a positive contribution to society. When I was younger I never realize how insane my parents are for raising 4 kids at a very close age. This year for my mother’s birthday, I want to let her know I truly appreciate her never giving up on us. 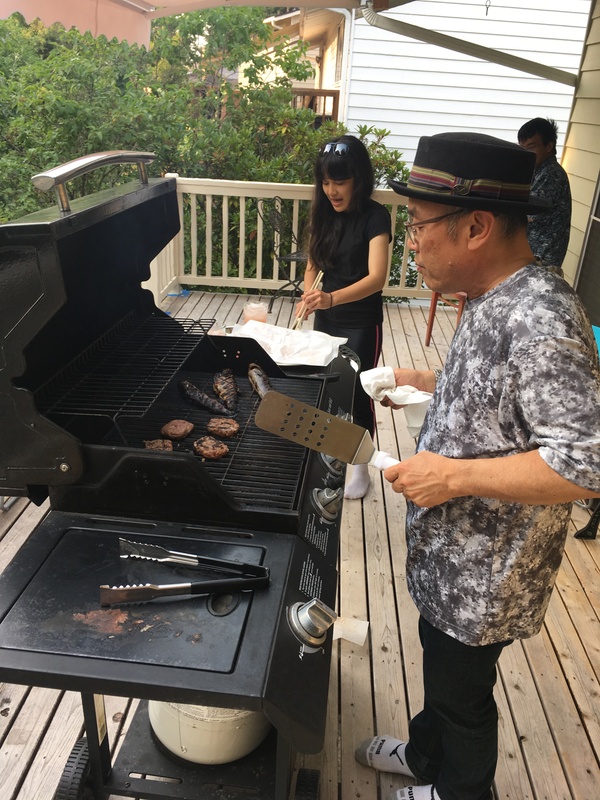 The BBQ time in our backyard was nice this year. Nothing awkward, just us 6 having a good time. Listening to old Thai songs while munching on BBQ food. 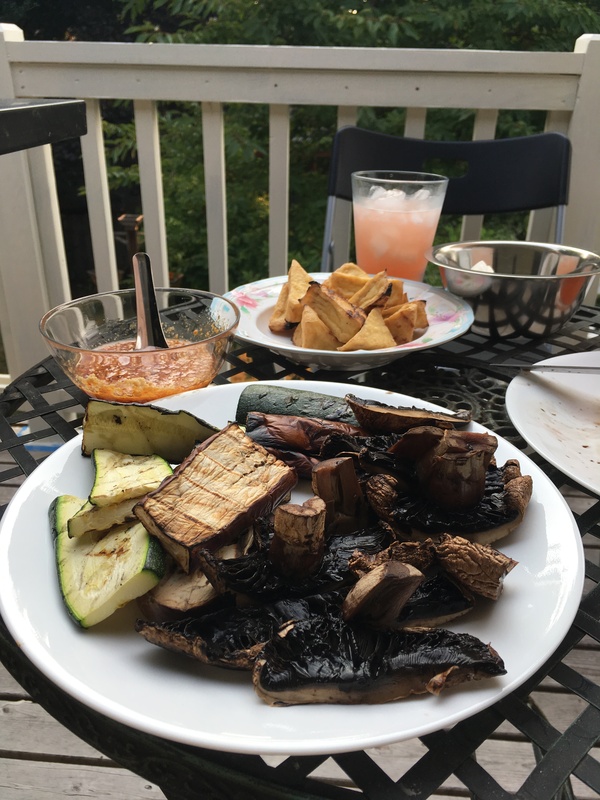 My favorite BBQ food will always be portobello mushrooms, they look so gross and have black juice oozing out but they are SO GOOD.